The Brewer Company is a provider of Medical Equipment, Dental and Optical Seating with OEM capabilities. Brewer leads the industry as a provider of power procedure tables, exam tables, seating, lighting, and a broad line of durable medical equipment. 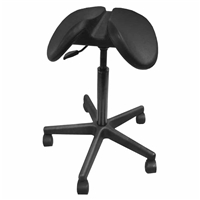 A durable and economical saddle perch stool for workshops, assembly lines, factories, schools, supermarkets, and kitchens. 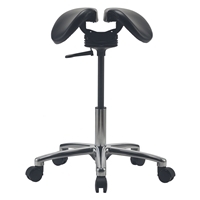 Anatomical seat opening relieves tailbone and genital pressures.